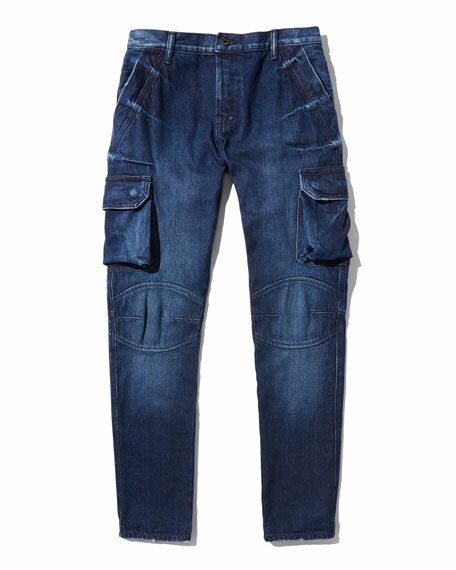 PRPS cargo jeans with knee-seam detail. 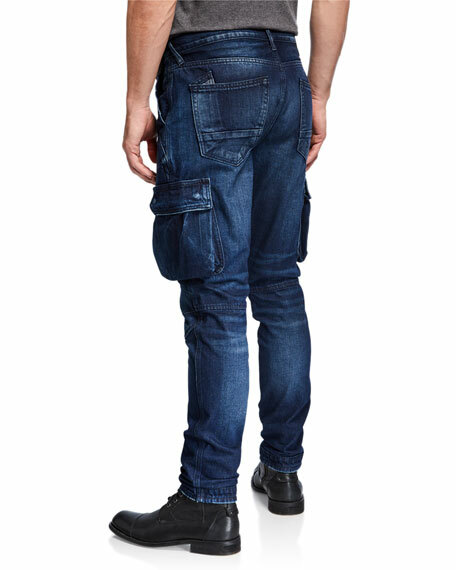 7 For All Mankind "Adrien" denim jeans with clean pocket design. Approx. measurements: 11" rise; 32.5" inseam; 13" leg opening. Five-pocket style. Slim, straight fit. Button/zip fly; belt loops. Cotton/polyester/spandex. Machine wash. Made in Mexico. 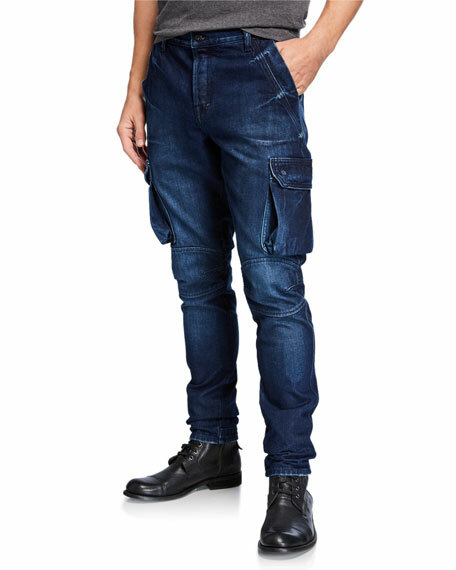 G-Star "5620" jeans in dark-wash denim with zip-detail at right knee. 3D whiskering. Five-pocket style. Regular waistband. Super slim fit. 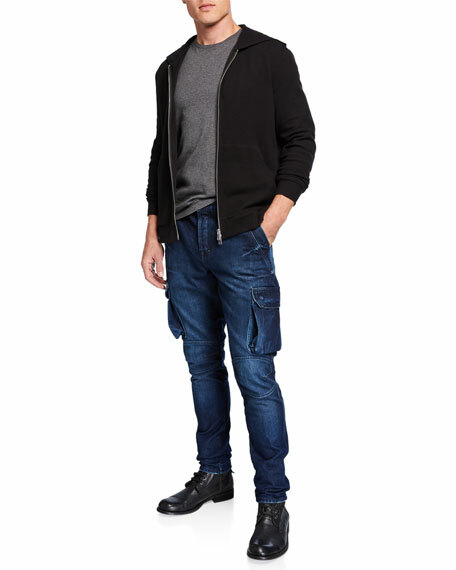 G-Star "5620" jeans in dark-wash denim with zip-detail at right knee. 3D whiskering. Five-pocket style. Regular waistband. Super slim fit. Button/zip fly; belt loops. Cotton/elastomultiester/spandex. Imported.